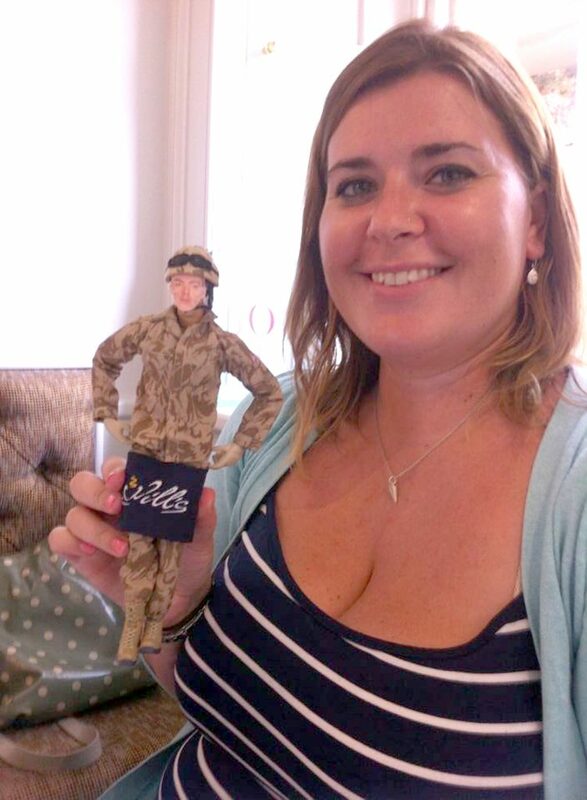 A woman who is fed up of pining for her RAF husband when he is deployed has made an action man replica of him which she takes on holiday, out for drinks and even as her ‘plus-one’ at weddings. 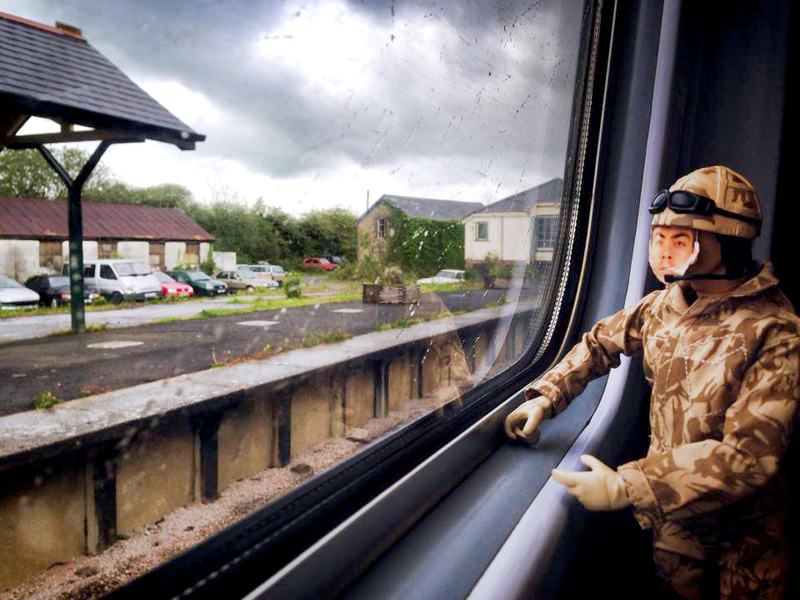 Kirsty Gowton, who lives in Oxford, created her beloved ‘Pete Doll’ eight years ago when her new husband, Pete, who is a sergeant in the RAF, was deployed just weeks after their wedding. With the newlyweds first Christmas together ruined, Kirsty, 36, decided to make the doll to salvage some of plans they had made together. She used a HM Armed forces figure and cut out Pete’s passport picture to stick on its face. 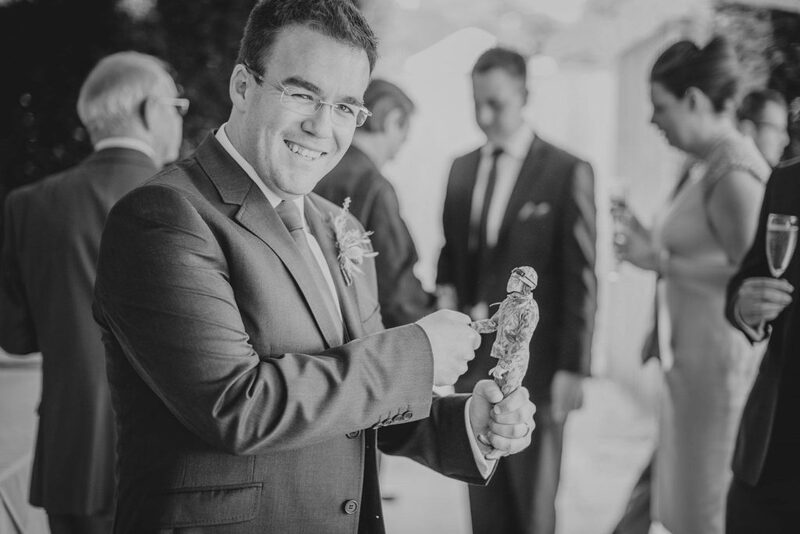 Since then, the Pete Doll has joined her on a whole host of occasions and trips including holidays, friend’s weddings, date nights and supermarket shopping. 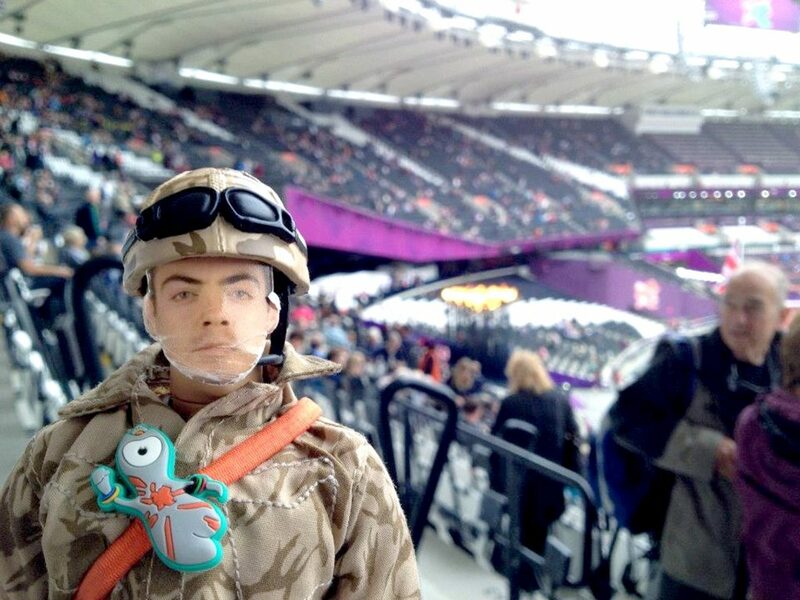 Pete doll even joined Kirsty at the 2012 Olympics and Paralympics when the real Pete couldn’t make it and their friends recently gave the doll its very own place setting and wedding favour when he was unable to attend their nuptials in person. Kirsty, a project manager, said: “We’ve had to cancel quite a few holidays in the past and whenever we get invited to anything nine times out of ten it’s a yes from me and a maybe from Pete – unless they’re happy with his replacement of course. “Luckily we have a great group of friends who really embrace the Pete doll and treat him like the real Pete when he can’t be there. “When Pete is away we do everything together, I do get some funny looks when I am doing the food shop though. “Most people probably think I’m a right nutter but when they realise the reason behind it they start to understand. Kirsty and Pete met at school and started dating in their early twenties. The pair have moved all over for Pete’s work including a stint in Cyprus. They have been apart for up to seven months in the past and Pete is due to be deployed again next year for six months. Kirsty added: “I send Pete pictures of me with the doll and it’s just one way of showing him we’re thinking of him. That it’s not a case of out of sight out of mind. Kirsty, who has had her Pete Doll for over eight years recently upgraded to a new cuddlier version from Norfolk-based company Huggable Heroes, which lovingly hand makes each cuddly toy to order. The ‘heroes’ feature a picture of people’s loved one and are the perfect size to carry around. Mum-of-two, Jo Lomax, first launched Huggable Heroes in 2015 after making one of the dolls for a friend’s little girl whose father was about to be deployed for six months. She then went on to make one for her own children, Henry and Charlotte, and realised how much they helped with separation anxiety from their own Royal Marine dad, Mikey. The 33-year-old runs the business from her mum’s kitchen in Swaffham alongside her mum, nan and aunt. The company create little heroes for all sorts of families including those in the armed forces, children who live far away from grandparents and other relatives, children separated by illness and hospital stays and families coming to terms with the death of a loved one. 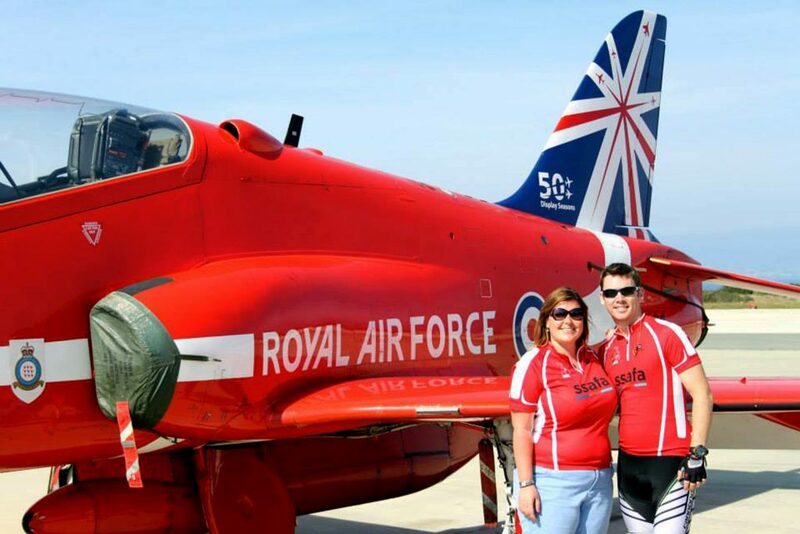 Jo said: “Seeing the reaction from children and their families is amazing. It makes me really emotional to the point of crying most days.